From the author of the bestselling Murdoch Mysteries series comes a gripping crime thriller featuring DI Tom Taylor, a Great War veteran turned country policeman. Set against the backdrop of war-torn Britain, Dead Ground in Between is an engrossing mystery that will appeal to fans of Ngaio Mash, Kerry Greenwood and Foyle’s War. 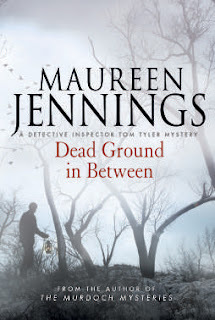 Dead Ground in Between is the fourth standalone book in the DI Tom Tyler series set in Shropshire town of Ludlow. Dead Ground in Between is published on August 2nd and available to pre-order now.